Looking for a unique Japan tour? 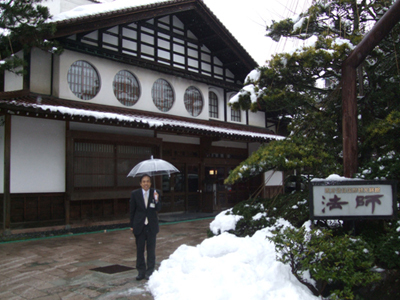 Houshi Ryokan, located in the hot spring village of Awazu in the Hokuriku region of Japan, is the world’s oldest inn. Dating back to the year 718 (some 1,300 years ago), the traditional ryokan has been operated by the same family for 46 generations. Upon arrival, guests are welcomed with a traditional Japanese tea ceremony. 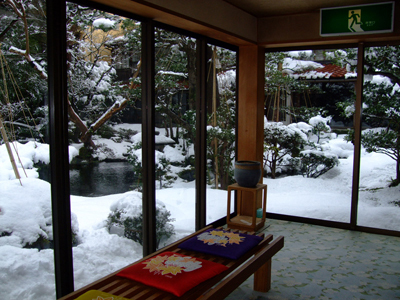 The Houshi Ryokan has 100 rooms, as well as a "hanare" (private guest residence), that can accommodate up to 450 guest. At Houshi the names for each room are derived from Saijiki (a book on words and phrases defining the seasons in haiku), and reflect the hotels belief that life is a journey through the seasons. There are 2 indoor and 2 outdoor 24 hour hot spring baths for both men and women (same gender only). They also have 1 family bath that can be privately reserved upon guest’s request. The hot spring at Awazu is said to have magical powers. Well, this seems to be true because Houshi has long been cherished as a place to bathe and find bliss. The hot spring at Houshi will quickly make your stress disappear and restore your health, leaving your body and mind feeling rested and rejuvenated. Enjoy soaking in the large indoor bath, or in the rotenburo (outside bath). Better yet, indulge yourself and take a dip in both. Recently, a new garden was created at Houshi, offering a beautiful stroll around the Inn. There are also shops and restaurants nearby the inn. Guests are provided with 'yukata', a comfortable kimono, to wear after soaking in the bath. Guest will enjoy traditional Japanese-style cuisine for breakfast and dinner. The ryokan serves delicious local seafood with many of the meals, and will cater to special requirements, such as a vegetarian diet. Room service is available as well. Houshi Ryokan emphasizes harmony with nature and appreciation of season changes, as is evident by the hotel environment. Whether you are looking for a rejuvenating weekend away, a glimpse of traditional Japanese culture, or quality time spent with family and friends the Houshi Ryokan is the perfect addition to any Japan itinerary. This incredible hotel is just one of many sustainable travel options in Japan. To start planning for your Japan tours, please fill out a custom trips form or call us at 866.577.2462.